Clearance Procedure of Imported Food, Food Raw Materials, and Animal Feed in Nigeria - Law Firm in Nigeria - Lawyers in Nigeria. 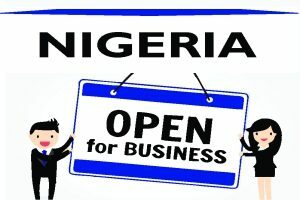 Lex Artifex LLP, law firm in Nigeria, has introduced the F&D Helpdesk to assist individuals and companies involved in the manufacturing, distribution, exportation and importation of regulated food and drugs products in meeting the requirements set by Nigeria’s National Agency for Food and Drug Administration and Control (“NAFDAC”). This publication is a snapshot of the clearance procedure of imported food, food raw materials and animal feed in Nigeria. These Guidelines are for the interest of the general public and in particular, importers of finished bulk food, food raw materials and animal feed into Nigeria. It is necessary to emphasize that, no Animal Feed shall be manufactured, imported, exported, advertised, sold, distributed or used in Nigeria unless it has been registered in accordance with the provisions of NAFDAC Act CAP N1 (LFN) 2004, other related Legislations and the accompanying Guidelines. It is also necessary to emphasize that no finished bulk food and/or food raw materials should be imported without obtaining Import Permit. The applicant is required to make payment of the prescribed tariff. Lex Artifex Law Office provides importers with legal representation and compliance services in Nigeria. Original copy of CRIA (Clean Report of Inspection and Analysis) for products coming from China. A Letter of undertaking stating that the product(s) will be forfeited if found unsatisfactory. The address of warehouse where the product will be stored. Evidence of payment to the Agency. Letter of introduction with a copy of the identity card of the company representative. Local Purchase Order from holders of Permit/Approval. 4.1.Upon satisfactory vetting of the application and accompanying documents, the Single Declaration Goods Form (SGD) is given the First Endorsement. 5.1. 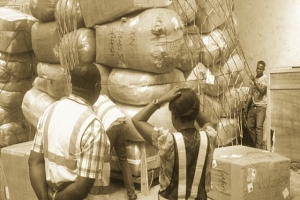 Joint Inspection of the consignment is carried out by NAFDAC and other relevant Government organizations. 6.1. The company representative is required to re-present all documents presented for First Endorsement. This should be accompanied with the report of the Joint Inspection and sample of the product (s) in line with the Agency’s applicable sampling Guideline for verification. 7.1. Upon satisfactory verification of the documents and product sample for the purpose of Second Endorsement, the Single Goods Declaration Form is given the Second Endorsement which is the release of the consignment to the importer. The tariff is as prescribed. The imported products can only be marketed and used after a satisfactory Laboratory evaluation. Note that the timeline for processing is suspended when there is a compliance directive and resumes when the applicant complies and communicates compliance to the Agency. In case of unsatisfactory laboratory analysis report, the consignment is placed on Hold. This may be for destruction or for further investigation which may include retest by the Agency and/or independent laboratory. To learn more about the Lex Artifex LLP’s Food & Drug (F&D) Helpdesk and how we can help you with the clearance of imported food, food raw materials, and animal feed in Nigeria, please email: lexartifexllp@lexartifexllp.com; call +234.803.979.5959.